The Journey, while capable and competent, ended up being an unremarkable one. 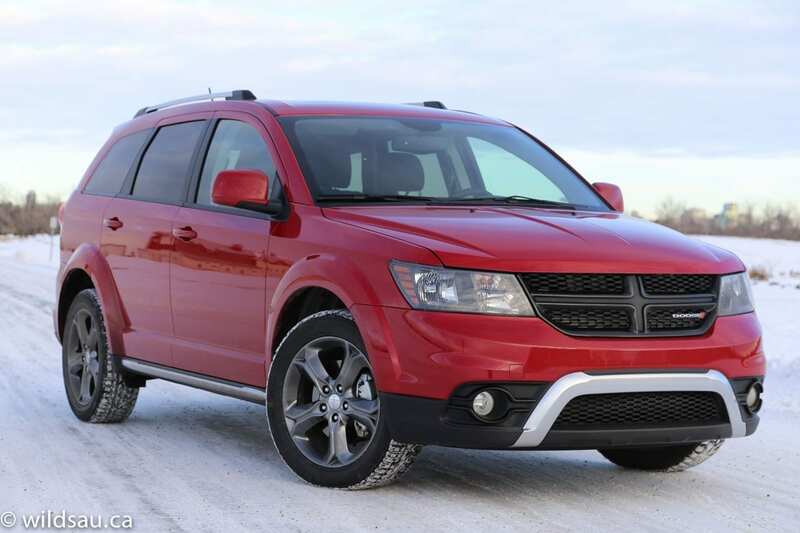 Dodge describes the Journey’s styling as – get this: bold, athletic, sophisticated and smart. Well, the butchy and boxy look definitely gets my vote for bold, but the other attributes feel a bit … marketing-speak. 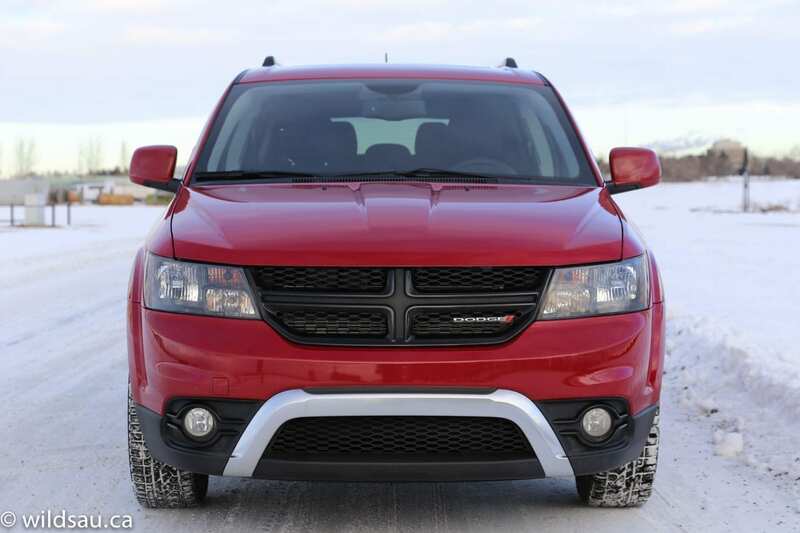 If you’re paying attention, the obvious cues from Dodge’s awful Caliber days are there. You can’t miss the fender flares and the cross-hair grille and that is cause for some unfortunate guilt-by-association. The Crossroad trim throws in a gloss black grille and headlight surrounds and some handsome 19-inch Hyper Black wheels. Once you’ve made your way over the high sill and you’re in, the Journey’s cabin feels spacious. And dark. And cheap. I felt that the acres of super-shiny black plastic really make the Journey feel a generation behind the times. 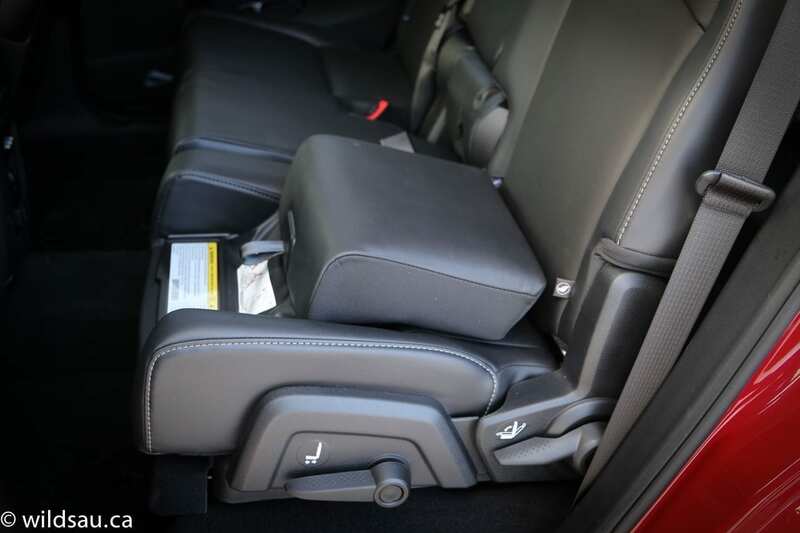 I’m guessing the next generation of Journey will get improved materials, and the fit and finish will probably get kicked up a notch too – this one sported some varying gaps around the interior trim pieces. 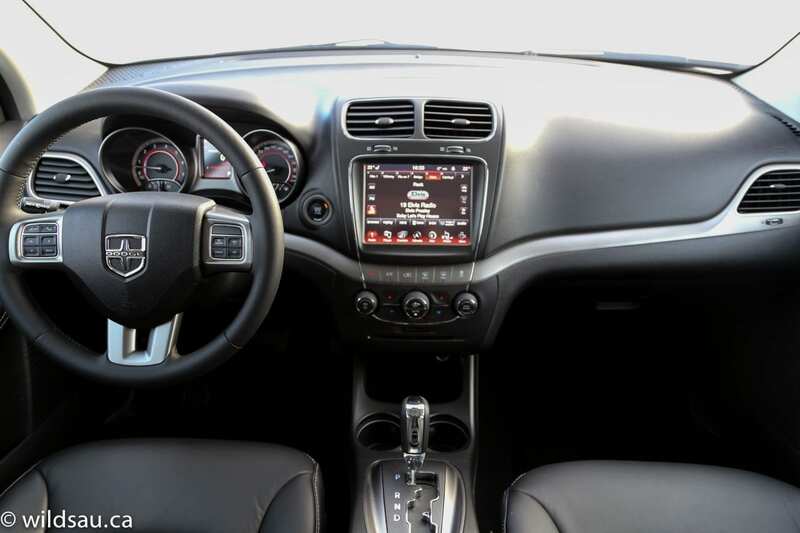 The heated steering wheel is a nice touch, as are the heated front seats (the driver’s side is power-adjustable). They are comfortable and even offer a little bolstering. 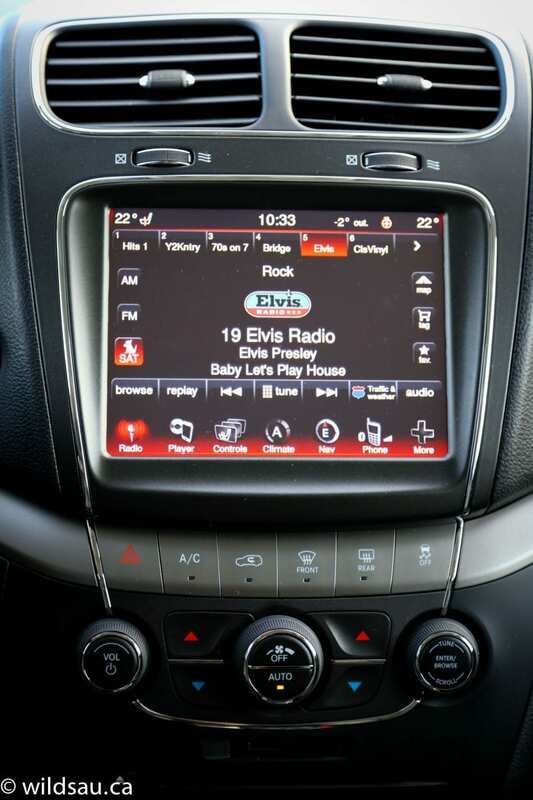 The dash is home to the now-familiar square 8.4-inch Uconnect touch screen, which works well and boasts a pretty well laid out user interface, although I’ve never been a fan of burying seat and steering wheel heater controls in a touchscreen system. 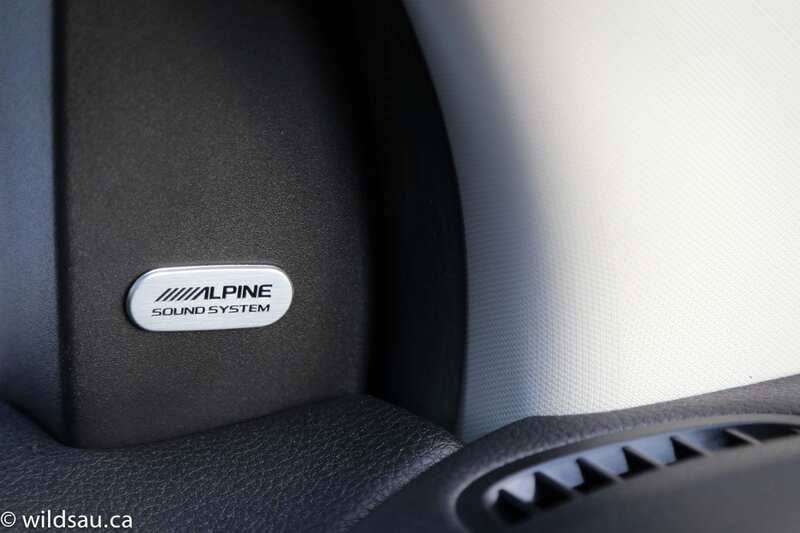 The navigation system works well and the Alpine sound system is impressive. The sunroof overhead is a standard-sized unit. 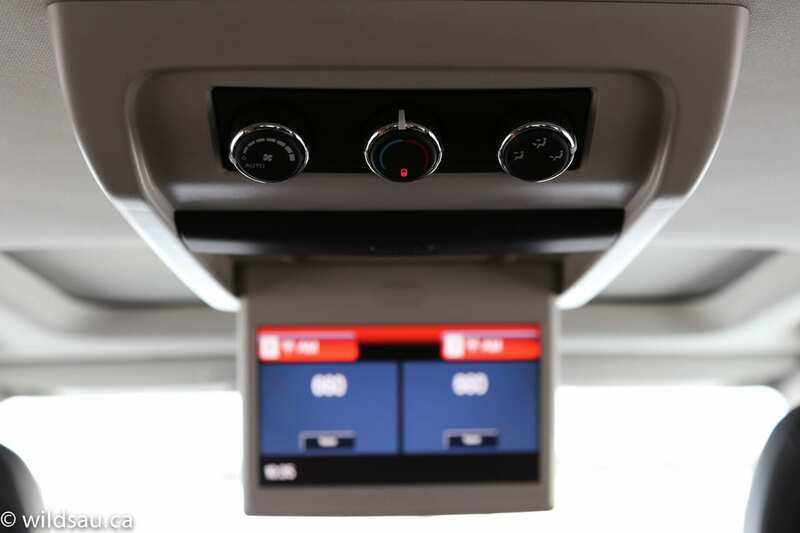 Driver assistance tech is limited to a rear-view camera and rear parking sensors. The two seats (they split 50/50) in the third row must be meant for very small children, well-behaved dogs or amputees. An adult simply can’t sit back there if the second row seat ahead of him is in use. Very short seat cushions and negligible leg room made even my middle child, a smallish 6 year-old girl, admit that she had no room back there – the little bit of reclining these seats can do makes no measurable difference. Thankfully (for the amputees, at least) the head room is actually quite good back there. Getting in and out of there will force generous strings of curses from the most pious of your passengers – ingress and egress is brutally tight for adults. I’d say the third row should be considered an emergency-purpose third row as it is certainly not suited for a journey. Thankfully, the second row is a different story altogether. There’s actually some leg room! The three seats (which split 60/40) slide forward and back, and recline too. You sit pretty high, and although Dodge has carved decent head room out of the ceiling, it comes in the form of domes over your head – like an air bubble. Which means that, if you’re of average height or taller, it feels as though you’re staring at the headliner that drops down in front of your brow. 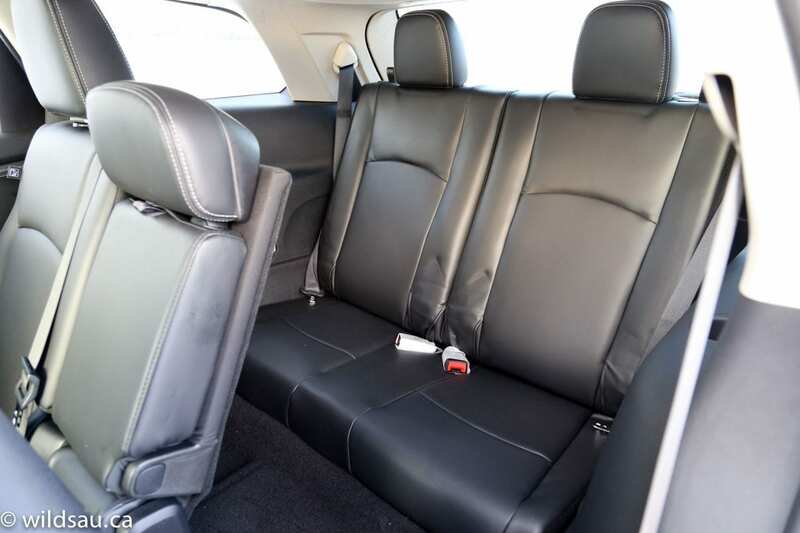 The two outboard seats are reasonably comfortable, though the cushions are a tad hard, and the middle seatback folds down to become an armrest with cupholders. If you have little ones, there are two sets of LATCH anchors for your kids’ seats. But the real news for me was a little loop of webbing sticking up out of the cushion. Give it a quick pull, and a little booster seat pops up for bigger kids. Very handy, and very well thought out. The back of the centre console has both a 115V household plug and a 12V plug for charging your devices. The rear climate control zone with ceiling ducts is nice. Sadly, there’s also a rear-seat entertainment system with a drop-down ceiling-mounted screen. Perfect for draining your bank account and blocking your rear-view mirror. Just skip this option and get each of your kids an iPad. You’ll save coin and they’ll be happier with a more flexible, mobile device. I thought the Journey did a good job in offering me places to put my stuff. There’s great console storage, such as a rubberized drop-in bin and further space under the armrest lid. 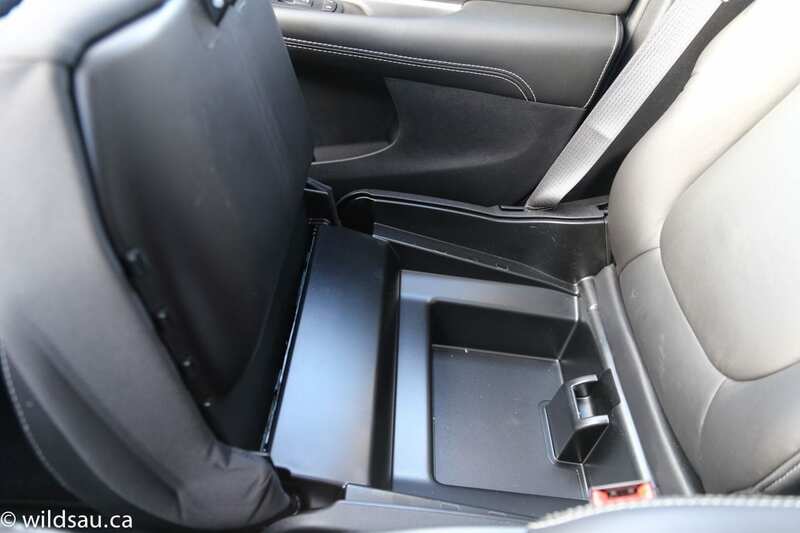 The passenger seat cushion flips up to reveal a small but secure storage bin underneath. 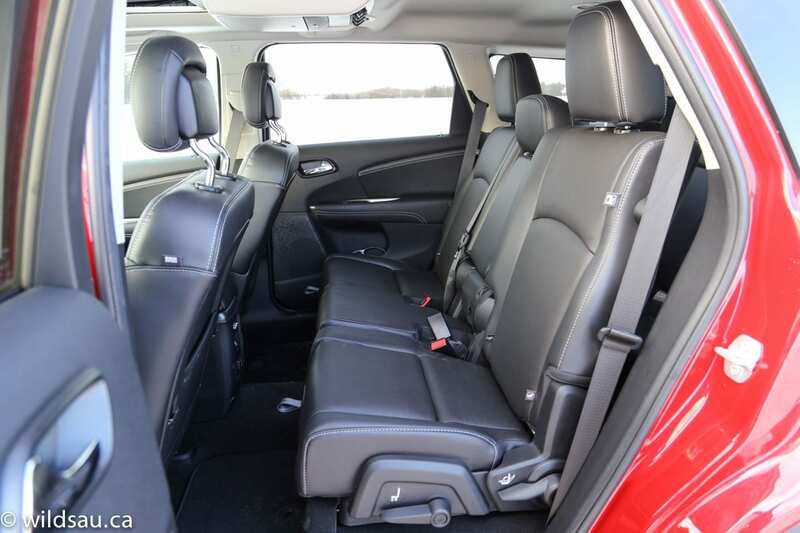 By the way, that same passenger seat can also fold flat to accommodate longer cargo items. Nice and flexible. There are also in-floor storage bins in the second row. I thought that a lack of power lift gate was a bit weird for a top-of-the-line trim. Once you open the trunk lid without the help of any electronics (what are we – animals? 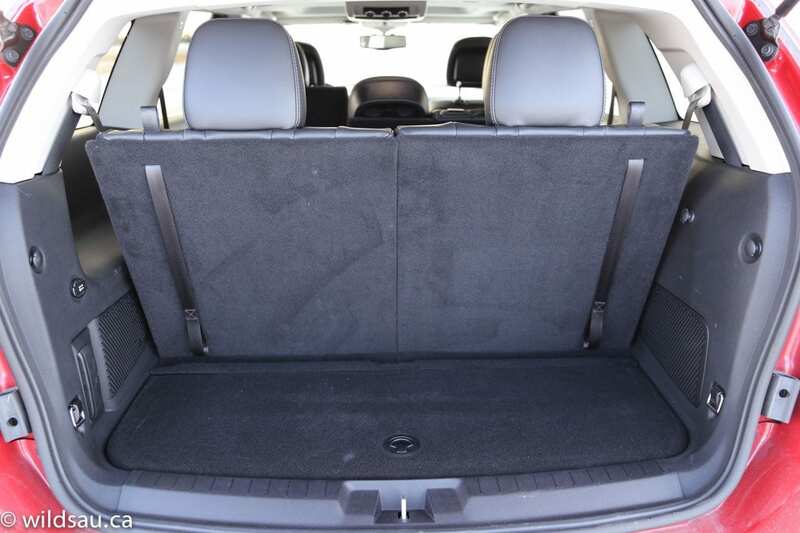 ), you’ll find a spacious trunk (1048 litres) behind the second row. If the third row is in use, that drops to a tiny 303 litres. 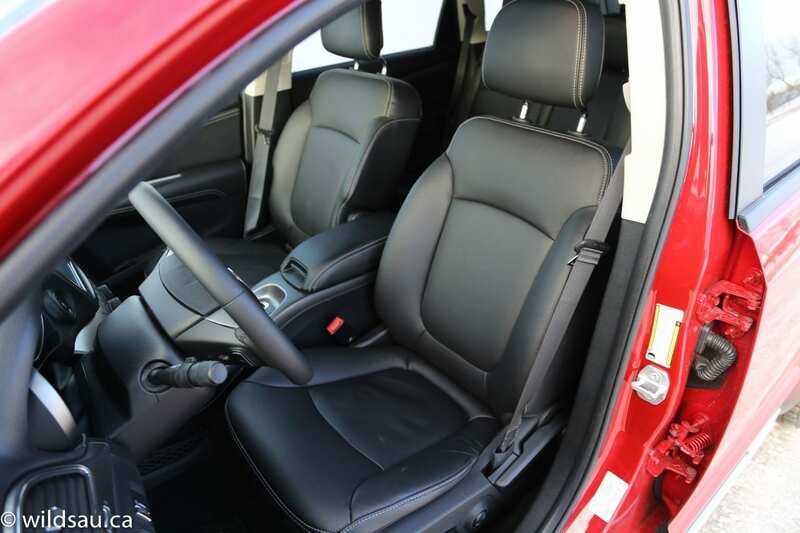 Conversely, if you fold down the second row, you can get up to 1914 litres of cargo space out of the Journey. There’s also some handy underfloor storage, a 12V plug and even a pop-out flashlight. I was not impressed by the relatively low height of the open trunk lid – it doesn’t open to a typical height, and at 5’10”, I smashed my head on it a few times before I learned my lesson. 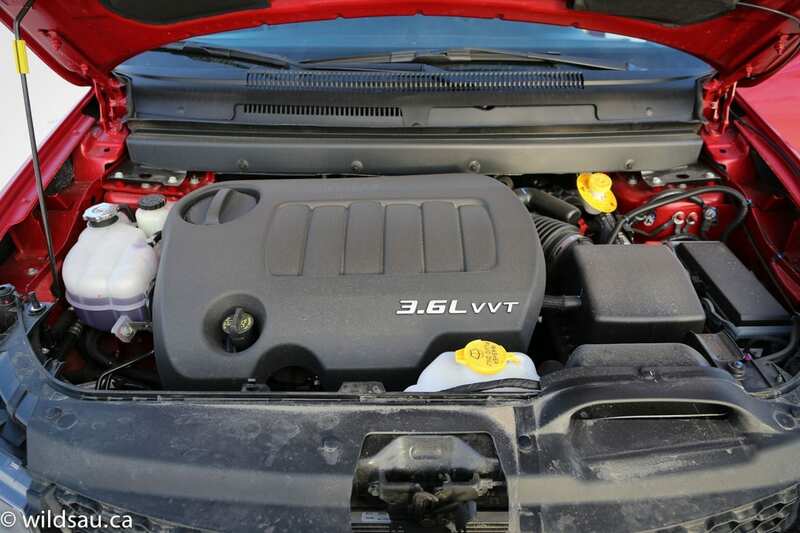 A 3.6-litre V6 powers the upper-level Journeys, and it pushes 283 horsepower and 260 lb.ft of torque through a 6-speed automatic transmission – to an all-wheel drive system in this case. 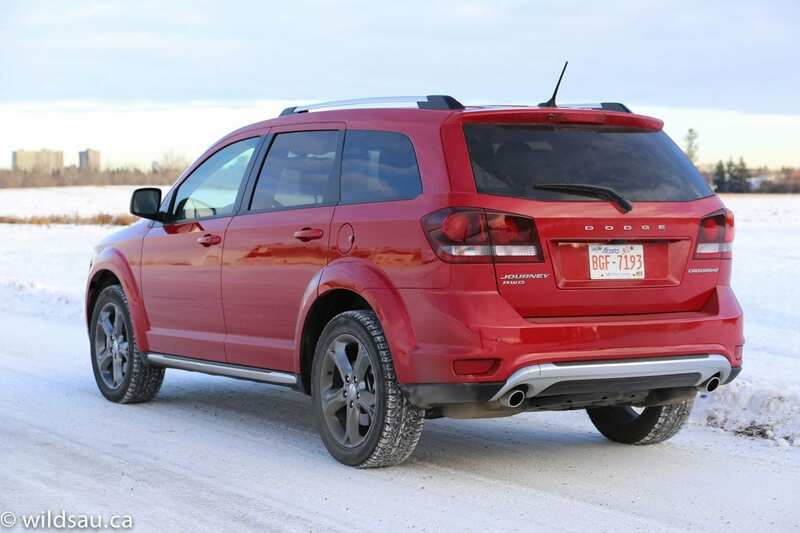 Dodge rates this configuration at 14.5 L/100 km (16 US mpg) in the city and 9.9 L/100 km (24 US mpg) on the highway. We averaged 14.8 L/100 km (16 US mpg) during our week with the Journey, which was nearly all slower city driving – none of it with a heavy foot. A couple of freeway sprints and a short jog down the highway barely made a dent in the average fuel economy. 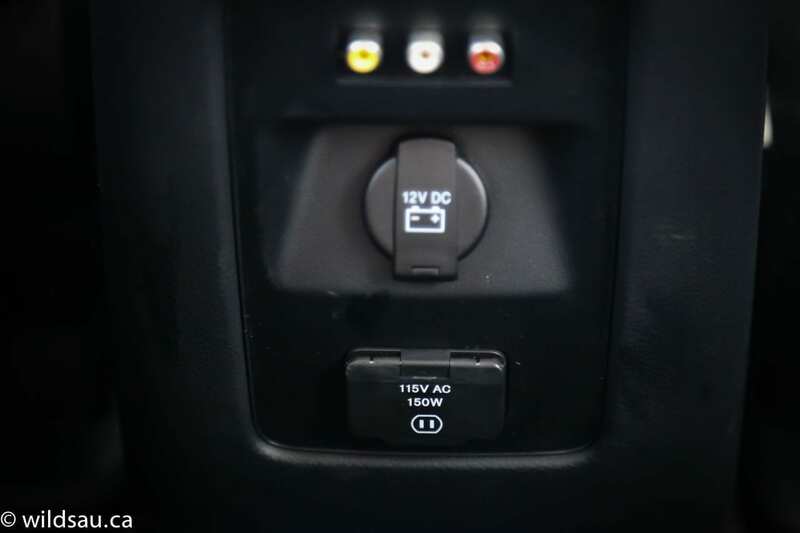 You fire up the Pentastar V6 with a push-start ignition, but I also appreciated the remote starter on those cold mornings. 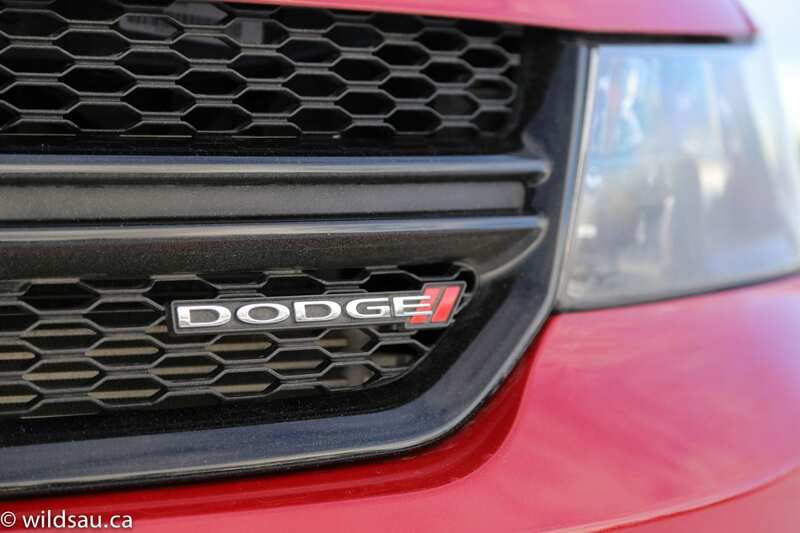 The engine is powerful enough, especially off the line. 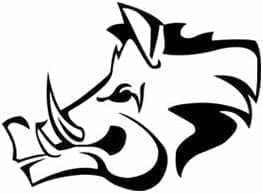 I felt that, once I was rolling and wanted to kick it down a couple of gears to do some passing, the engine suddenly felt as though it was working pretty hard and it took a while to get to those higher speeds. The transmission is very smooth and relatively intelligent – more so than the recent 8-speed offerings I’ve driven from Fiat/Chrysler. 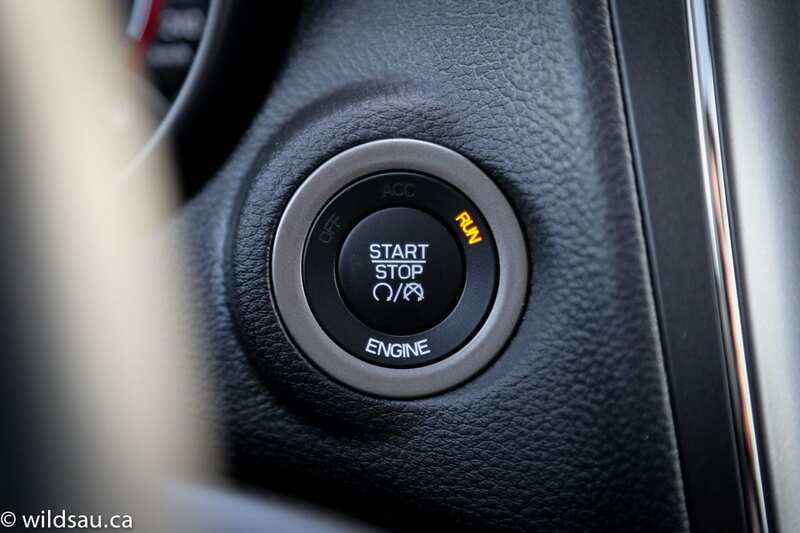 Gears can be shifted manually with the gear selector, but the strange back-and-then-to-the-side action required and the slow shift you’re rewarded with makes any benefit to doing so questionable. I found the ride to be comfortable, but on the firm side. It’s not luxurious, but not truckish either. Handling, for a larger, taller vehicle, is decent. There’s body roll, but nothing untoward for a vehicle of this size and heft and I thought the vehicle’s turn-in felt competent and agile enough around town. 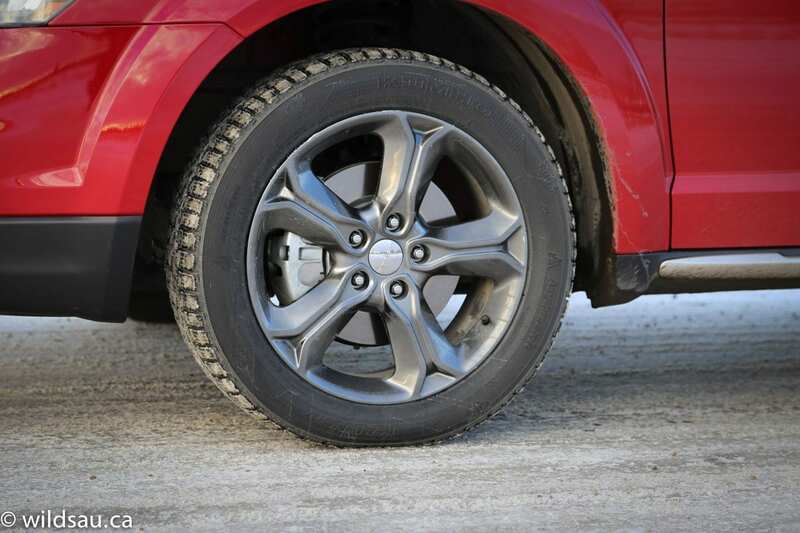 In addition, the all-wheel drive system is capable and did a great job on our snowy, slippery Edmonton streets. Overall, the Journey is reasonably quiet, although wind noise does pick up at highway speeds. Visibility out of the car is great looking forward, and acceptable out of the sides and back. 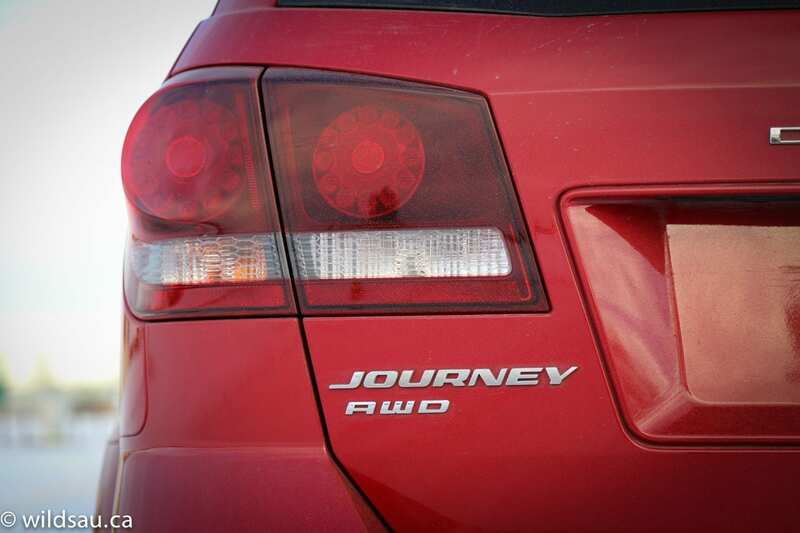 I found the Journey a capable, confident vehicle, if a bit unremarkable in terms of how it looks inside and out, and how it performs. I didn’t see the point of the third row, unless it’s for occasional use. It’s also thirsty, even though they sell the vehicle partially on its efficiency. And overall, the vehicle doesn’t feel very current. 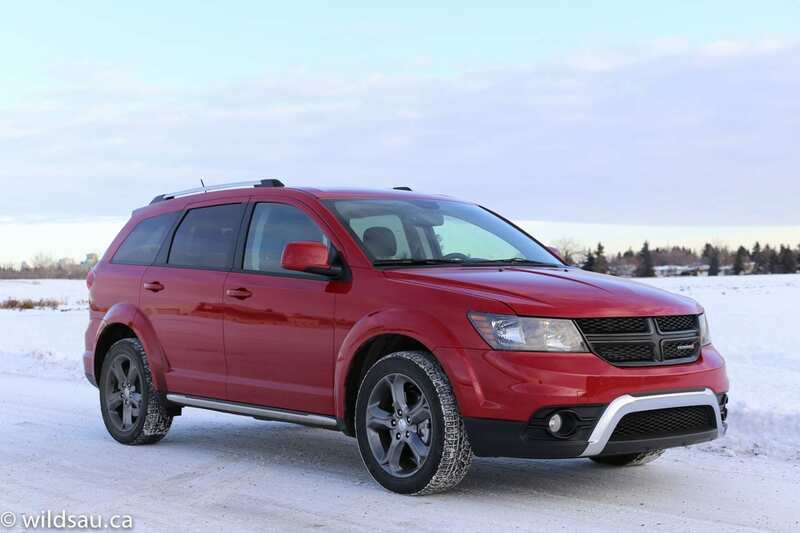 That’s not the vehicle’s fault – it’s been with us, albeit with a 2011 update, since 2008. WAF (Wife Acceptance Factor) was higher than I had expected. She said that driving it was “nice” and that she found it easy to figure things out in the interior because they kept it “simple”. She ended up ignoring the third row, putting all three of our kids in the second row, and enjoying the large cargo space. 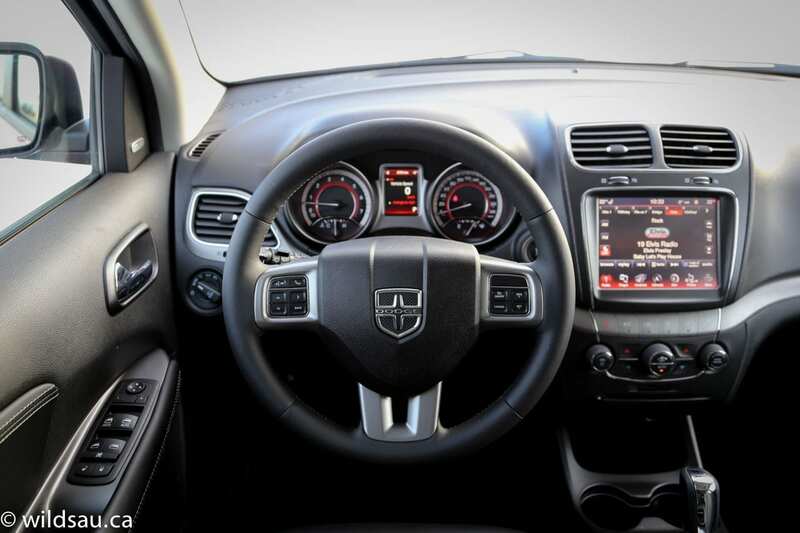 While the Journey doesn’t strike me as the refined, luxurious competitor that Dodge is trying to sell it as, it is available for a low starting price and at that level, it becomes a bit more of a value proposition and still offers all the same functionality and utility. 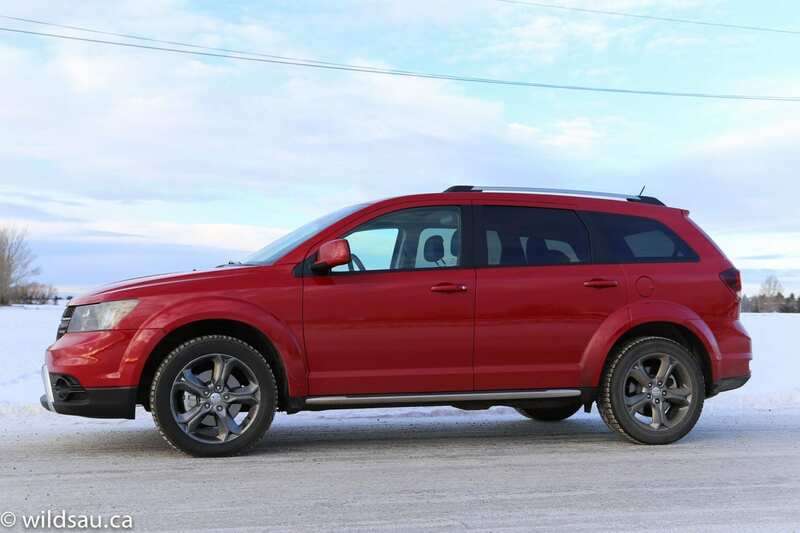 If this felt like the right vehicle for my needs, I’d make it work with one of the lesser trim levels and save the extra money that the Crossroad trim costs. But if it were my money, I probably wouldn’t be buying a Journey. 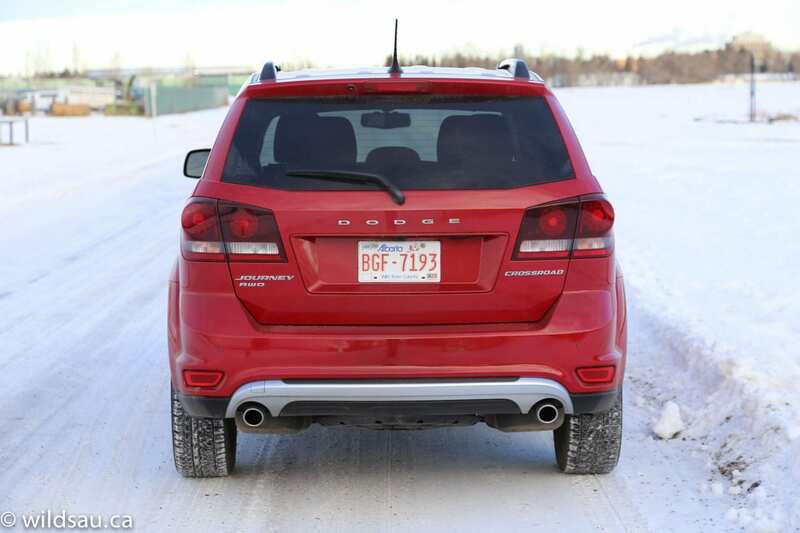 Disclosure: Vehicle was provided by Chrysler Canada.